The scope of Analytical Methods has been revised to highlight that the journal welcomes early applications of new analytical methods and technology demonstrating potential for societal impact. 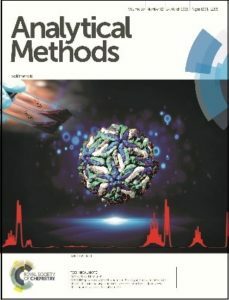 “Analytical Methods requires that methods and technology reported in the journal are sufficiently innovative, robust, accurate, and compared to other available methods for the intended application. Developments with interdisciplinary approaches are particularly welcome. Systems should be proven with suitably complex and analytically challenging samples. The updates relate to the need for systems to be proven with suitably complex and analytically challenging samples and we also highlight some of the technologies and applications that the journal is interested in. A final update is that the previous requirement for a societal impact statement has now been removed and this will be replaced by a requirement for a short (1-2 sentences long) significance statement for authors to highlight the technological advance and/or significance of the methods and applications in each submitted manuscript. Any queries regarding these changes should be directed to the Analytical Methods Editorial Office at methods-rsc@rsc.org. Submit your next manuscript to Analytical Methods! 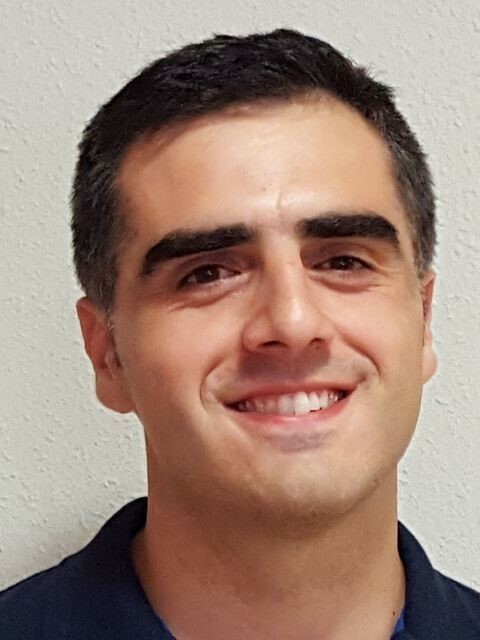 We are delighted to introduce our latest Analytical Methods Emerging Investigator, Alexander Zestos! Alexander Zestos is a Greek-American from Williamsburg, VA. He completed a BS/MS degree in Chemistry from the College of William and Mary in Williamsburg, VA in 2008. There, he performed research with Dr. William H. Starnes, Jr. on the use of metal-clay additives and ester thiols to promote the smoke suppression, fire retrardance, and thermal stability of poly(vinyl chloride). 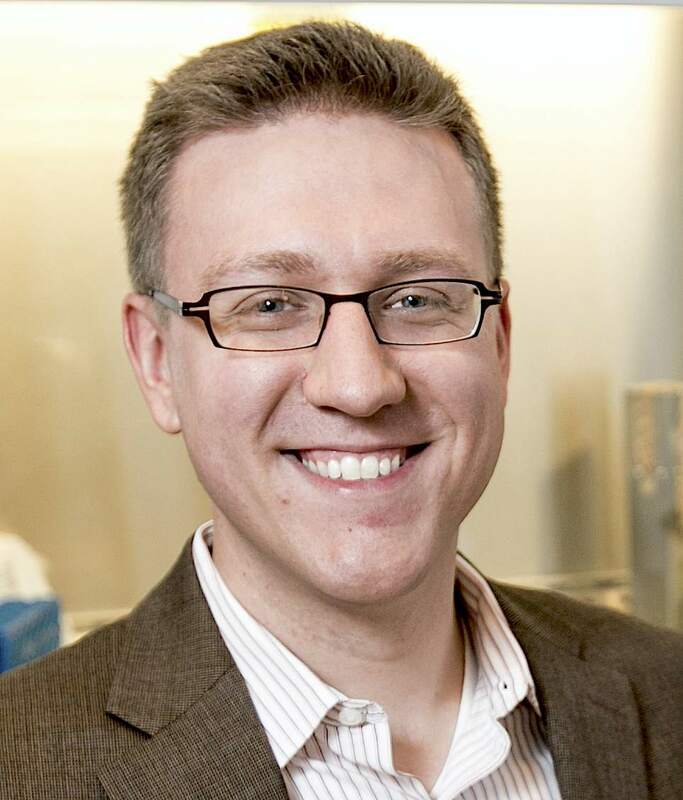 He completed his PhD in Chemistry in 2014 at the University of Virginia, where he worked with Dr. Jill Venton and investigated the use of alternative carbon nanomaterials for enhanced neurochemical detection using fast scan cyclic voltammetry. From 2014-2017, he was a postdoctoral research fellow in the Departments of Chemistry and Pharmacology at the University of Michigan and was co-mentored by Professors Robert T. Kennedy and Margaret E. Gnegy. There, he developed microdialysis and liquid chromatography-mass spectrometry assays to measure neurochemical dynamics in rats after the administration of amphetamine and cocaine. He also developed the use of protein kinase C (PKC) inhibitors as novel therapeutics for amphetamine abuse in addition to measuring acetylcholine release from beige fat adipocytes and the neurochemical biomarkers of epileptic seizures. Since 2017, he is an Assistant Professor in the Department of Chemistry and Center for Behavioral Neuroscience at American University in Washington, D.C., where he develops electrochemical methods and electrode materials to enhance neurotransmitter detection for a wide variety of applications. Your recent Emerging Investigator Series paper focuses on carbon-fiber microelectrodes and waveform modifications for the detection of neurotransmitter metabolites. How has your research evolved from your first article to this most recent article? My research has evolved greatly over time. As a BS/MS student at the College of William and Mary, I investigated the development of smoke suppressants, fire retardants, and thermal stabilizers for poly(vinyl chloride). As a PhD student at the University of Virginia, I became more interested in research that could be used for biomedical applications. I utilized alternative carbon nanomaterials as electrodes for enhanced neurochemical detection with fast scan cyclic voltammetry (FSCV). As a postdoctoral research fellow in the Departments of Chemistry and Pharmacology at the University of Michigan, I used in vivo microdialysis coupled with liquid chromatography-tandem mass spectrometry (LC-MS/MS) to detect multiple neurotransmitters in vivo and measure the effects of PKC inhibitors on amphetamine-stimulated dopamine efflux. We were able to measure over 30 neurochemicals simultaneously in freely behaving animals, which had many applications for studying drugs of abuse, obesity, and epilepsy. At American University, I am combining the use of voltammetry, HPLC, and other methods to enhance neurochemical detection that is applicable to studying the effects of many drugs and behavioural states. I am excited by many projects. Currently, we are developing methods of neurochemical enhancement with carbon fiber-microelectrodes to study neurochemical dynamics in diabetic zebrafish and the effect of cathinone bath salts in rats. Moreover, we are also using carbon nanomaterials such as carbon nanotube yarns and polymer coatings to enhance neurochemical sensitivity, temporal resolution, and promote anti-fouling properties. My research continues to be at the interface of materials science, analytical measurements, and biomedical applications. In your opinion, what are the key design considerations for developing novel electrode materials and waveforms for the detection of biomolecules? The key design considerations for developing novel electrode materials and waveforms are to tune the electrode material selectively to each respective analyte. For this paper, we applied positively charged polymer coatings and removed the negative holding potential in order to enhance DOPAC detection, which is negatively charged at a physiological pH. The detection of other analytes such as dopamine, serotonin, norepinephrine, and others can be enhanced with other coatings and waveform modifications that are specific to each neurotransmitter being detected taking into account size, charge, chemical structure, and other considerations. In my opinion, the most challenging part of my research is continuous trial and error and overall complexity. However, this can also be the most rewarding aspect of research when an unexpected discovery is made. Reproducibility is also key in making and testing microelectrodes to measure neurochemical dynamics in small brain regions. I enjoy the outdoors, sports, traveling, and spending time with my family. I most likely would be a physician or diplomat. I always considered myself to by a people-person and enjoy traveling, which is a big part of being a scientist. I would recommend pursuing your passion, yet being able to adapt to new circumstances, and to be continually persistent in your work. There will always be ups and downs in your research, but it is important to remain focused on the long-term goals of your career. We would like to highlight the Outstanding Reviewers for Analytical Methods in 2018, as selected by the editorial team, for their significant contribution to the journal. The reviewers have been chosen based on the number, timeliness and quality of the reports completed over the last 12 months. We are delighted to introduce our latest Analytical Methods Emerging Investigator, Charles Mace! 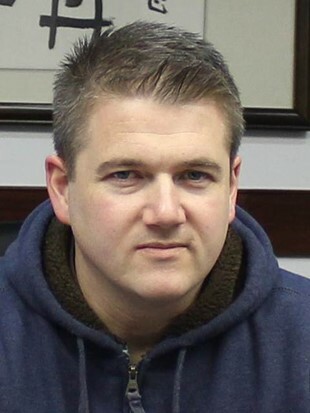 Dr Charles Mace earned his BS from Le Moyne College in 2003, followed by an MS (2006) and PhD (2008) from the University of Rochester in the laboratory of Prof. Benjamin Miller. 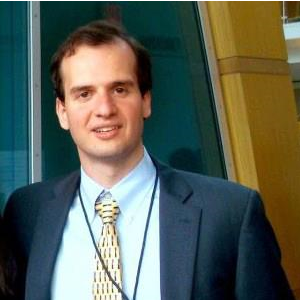 He was then a postdoctoral scholar in the laboratory of Prof. George Whitesides at Harvard University from 2008–2011. 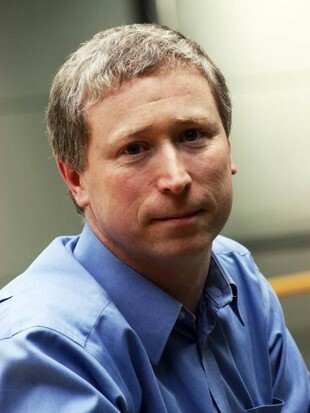 Prior to joining the faculty at Tufts in 2013, he was a senior scientist at Diagnostics For All. Charlie is the Vice Chair for the upcoming 2020 Gordon Research Conference on Bioanalytical Sensors. Your recent Emerging Investigator Series paper focuses on determination of sample stability for whole blood parameters. How has your research evolved from your first article to this most recent article? Whether you’re asking about my first article as a graduate student or as PI, I have been fortunate to have a consistent scientific narrative in my career—creating technologies that can lead to improved access to healthcare. In graduate school at the University of Rochester, I developed a label-free, optical biosensor platform that I was applying to, among other things, characterizing the immune response to flu infections to help create improved vaccines. My first article on that technology described a sensor to detect pathogenic E. coli. In comparison to what my lab at Tufts University works on now (paper-based microfluidic devices), it was all very high tech. My first independent article described a new paper-based device architecture that could be used to perform immunoassays. It can be thought of as being analogous to a lateral flow test, but something that could be integrated more readily into the kinds of point-of-care hematology devices that we are pursuing. Some of that work is seen in this article. Can I say everything? I’m like a kid in a candy store when it comes to the research that is going on in our lab right now. We have projects related to point-of-care diagnostics, tissue engineering, materials science, and more. We are very collaborative with groups at Tufts and other universities and institutions, and we like being able to bring our expertise to many different areas of research. Being able to jump back and forth between these projects (and support and mentor the students leading these efforts) keeps my enthusiasm level high on a day-to-day basis. Ultimately, it is a major goal of my independent career to develop something “real” — an assay or device that other people can actually use. I think that we are close to that goal on multiple fronts. In your opinion, what are the key design considerations for developing diagnostic assays for biological parameters? We like to start with the end goal in mind: what does the user need? This answer is partly related to typical parameters like the desired sensitivity and specificity of the assay, but includes a number of other concerns too. Costs are always an obvious issue when the assay is intended for use in limited-resource settings. While we try to be as economical as possible, academics are actually really bad at estimating what the price of a test will be from the costs required to develop them. A consideration that we have been really focusing on lately is how devices will be used. For example, we try to understand how to increase the capabilities of our devices to make them easier to use and minimize the number of steps a user will need to perform to conduct the test. Not only are those concerns practical and driven by conversations with potential users, but they also end up generating interesting research ideas. Blood is deceptively difficult to handle and analyze, which is unlike other biofluids that I have studied in the past like serum, oral fluid, or urine. Blood is a dynamic, living sample whose properties change over time. Understanding these challenges and identifying strategies to effectively account for them are the first steps to developing assays or devices to analyze blood. Particularly with our goals to create point-of-care hematology tests, like with our paper-based hematocrit assay, having a sample that was varying over time could influence how we interpret results and make experimental decisions. Since we need large volumes of blood to develop tests, we mainly rely on local vendors to supply our blood. It’s very fresh, but not “fingerstick” fresh. We would require many many fingers to support our work! Honestly, that was the genesis of this manuscript. Lara (the first author on this paper) identified a problem that could affect her research objectives, devised a plan to understand the variables leading to instability of her blood samples, and demonstrated their impact in a clear way. These are challenges worth solving because the impact of this kind of point-of-care device could be felt worldwide. We have to get a lot of things right at this stage of the research. These days, my main hobbies are chasing around my toddler, teaching him proper animal noises (he’s nailed bear and whale, but can’t quite get sheep), and going to swim class with him. In our quieter moments at night, my wife and I really enjoy cooking together. Sometimes, we will even make competitions out of it by limiting ingredients or forcing together certain combinations of ingredients. It’s a different way of being creative, lets us try new foods, and it helps us share a common passion. Watching reruns of The Office (American version!) for the fifth time is also a common passion. I actually started college with the goal of becoming a high school history teacher. Even though those plans changed really quickly, teaching and communicating have always been passions of mine. That being said, I would probably start a microbrewery with my wife that made great IPAs and tater tots. I love this job and it is ultimately very rewarding, but it can be difficult, overwhelming, and potentially even lonely at times. That is particularly true when you are just starting out and trying to find your voice. Surround yourself with colleagues and mentors that can provide support and guidance. And remember to willingly offer that support to others! You don’t need to go through it alone just to prove your ‘independence’. This is just as true for graduate students as it is seasoned PIs. 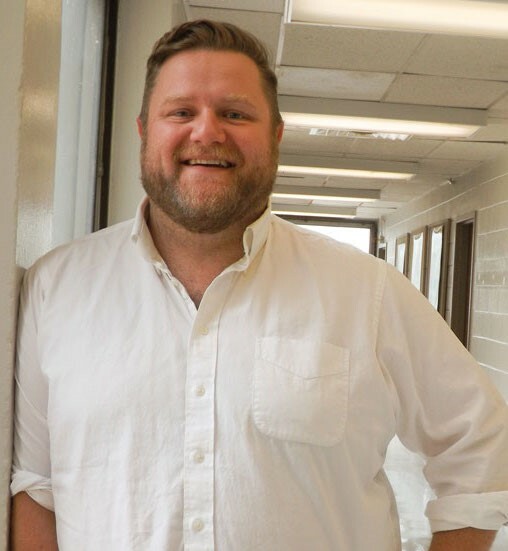 We are delighted to introduce our first Analytical Methods Emerging Investigator, Chris Baker! Dr Christopher A. Baker earned his B.S. in Chemistry from Wayne State University in 2007, and his Ph.D. in Analytical Chemistry from Florida State University in 2012. He was a postdoctoral associate at The University of Arizona (2012-2014), and Sandia National Laboratories (2014-2015). 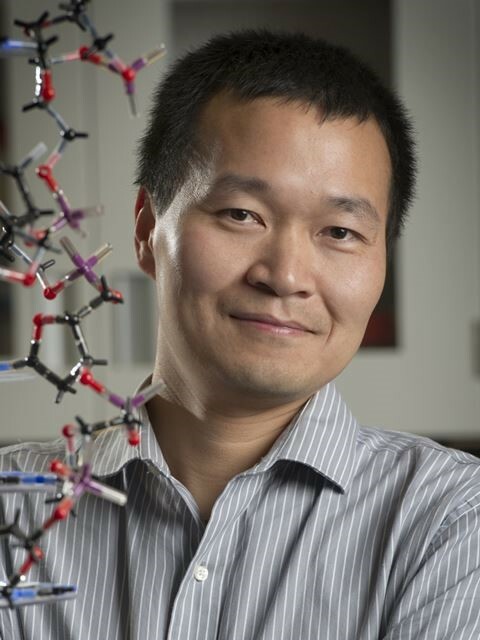 Currently, he is an assistant professor in the Department of Chemistry at The University of Tennessee, Knoxville. 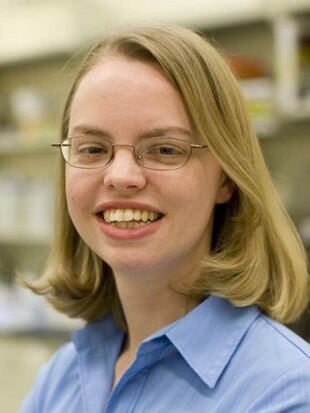 The Baker Bioanalysis Lab at UTK specializes in separation science and biomimetic sensor technologies. They are developing new micro- and nanotechnologies to help understand cellular signaling processes involved in neuroendocrine disorders and cancer. Your recent Emerging Investigator Series paper focuses on the efficacy of zonal electrophoresis in microfluidic paper-based analytical devices. How has your research evolved from your first article to this most recent article? The majority of my research, going back to the start of my training, has focused on microfluidic instrumentation and separation science, and these are still two core themes of the research program we’re building at UTK. As a grad student, I used to think a lot about how to use microfabrication to produce complex devices for intricate fluid manipulations. My first paper described an electrophoresis device with integrated electrokinetic fraction collection, which was a gnarly-looking microfluidic chip that operated via a jumble of high voltage wires. In this latest article, we’re thinking about ways to make microfluidic instrumentation more widely accessible, which in our lab means reducing materials costs and utilizing fabrication techniques that are affordable and widely available. The devices we describe in the current article are much simpler in capability, offering just the basic functions of sample injection and electrophoretic separation, but the trade-off comes in how simple and affordable they are to produce. In my early work we used photolithography to produce devices that cost on the order of $50 per device. The electrophoresis devices in the current article can be produced using a pair of scissors, and each one costs substantially less than $1. I think that microfluidics will play a significant role in the move towards personalized medicine. As we continue to develop tools and techniques that lower the cost barriers and increase access to microfluidic technologies, I’m hopeful that we’ll be helping to accelerating the transition to personalized and, perhaps more importantly, affordable and accessible healthcare. I have a really talented team of dedicated students, and they’re working on a lot more than just making microfluidics more cost effective and accessible. Much of our work focuses on addressing challenging questions in neuroendocrinology by developing new technologies for bioanalysis. I’m really excited that on our way to developing these new technologies, we’re finding powerful intersections between new bioanalytical capabilities and affordable, accessible technologies. In your opinion, what are the key design considerations for developing effective microfluidic paper-based analytical devices? Let me confess, I am brand new to the world of μPADs, so there are far more qualified opinions on this matter. That said, our focus in this area has been on incorporating electrokinetic mechanisms into μPADs, which is an emerging area that comes with some unique design considerations. I think the two most important considerations are discussed in the current article, and they are: 1) Appropriate heat dissipation – Joule heating in these devices is no joke! We’ve repeatedly had paper devices burst into flames at field strengths less than 100 V cm-1. Thankfully, these are very small devices, so it’s more like a birthday candle than a barn fire; and 2) Paper substrate selection – we show in this article that paper composition can have major effects on device performance. Most notably these come in the form of electroosmotic flow effects and sample adsorption. I think there’s a lot of work still left to be done on characterizing the wide array of available substrate materials. I think the work we’re doing is so much fun, and that includes the technological and experimental challenges that come along with any research. I’m extremely enthusiastic about our science, and I always want to know more about the technologies we’re developing or the biology we’re studying. This can lead to a major challenge for me, though. I’m never satisfied that we’re done studying something and we’re ready to write up a manuscript to tell the story. By the time the “last” experiment is done, my interest is already piqued for the next experiment, and then the experiment after that, and so on. I’ve actually had to tell my students “The next time I ask you to add another experiment to this paper, just remind me that it’s an experiment for the next paper.” They’re usually pretty good at keeping me in check on this one! My wife and I are expecting a baby any day now, so I’m anticipating that spare time will be in short supply for a while. When I do have the chance, I like to split my time between a few hobbies. I have an old truck in my garage, a 1966 Dodge A100, and I’m converting it to an electric vehicle. I’m an aspiring woodworker, photographer, computer coder, and general maker of things. My wife and I are both musicians, so we play jazz (and occasionally bad 90s music) together. We travel a lot. We love to take road trips all over the western U.S., and we never miss a chance to spend time in Tucson, AZ, which is where we met. That’s tricky. I tend to imagine other careers in science and engineering (astronomer, computer programmer, Starfleet officer, etc.) I’d like to run a microbrewery, but that’s just microbiology with delicious by-products. Being a jazz vibraphonist would be fun, but musicians are mathematicians working in base 12. Shucks, I guess that means there are no non-science careers for me. Science is a creative profession, and creativity is a skill that requires practice. Imposter syndrome is a very real thing when you’re starting out, and I think it can push you to emulate rather than innovate. Of course, there’s nothing wrong with following practices that have worked for people you admire professionally, everyone does it, but emulation isn’t a particularly creative approach. My advice would be to find opportunities in your work to exercise your creativity, and give yourself permission to do things your own way. I’ve practiced this starting from small details of office management and built up all the way to big picture aspects of how we’ve designed our research program, and it’s been a major factor in getting past my feelings of imposter syndrome. Electrochemistry for health applications: call for papers! Analytical Methods is developing a themed collection to highlight the exciting area of electrochemistry for health applications. The scope of this themed collection is intentionally broad to cover electrochemical sensing, biosensing and applications in diagnostics and monitoring and neuroelectrochemistry. The criteria that Analytical Methods strives to emphasize, a clear societal impact, must be emphasized in these articles as well. This online collection will be guest edited by Associate Editors C. Banks and B. Jill Venton and Reviews Editor Tony Killard. To celebrate the retirement of Professor Dermot Diamond, the collection will also feature a special editorial highlighting Professor Diamond’s important contributions to the field of electrochemical sensors. Analytical Methods welcomes early applications of new analytical methods with clear societal impact. Articles included in the collection will be published as they are accepted and collected into an online collection which will receive extensive promotion. For more information about the journal or its scope, please visit the journal website or the recent editorial by the Editor-in-Chief, Scott Martin. If you are interested in this opportunity or have any questions, please contact methods-rsc@rsc.org. Submission window: 1st June 2018 -30th November 2018! Launched in 2018, Analytical Methods is now running an Emerging Investigator Series, featuring the best work in analytical chemistry being carried out by early career researchers. This series is ongoing, with accepted manuscripts being published in the next available issue of the journal and assembled in a high profile online collection. Follow @MethodsRSC on Twitter to keep up to date with the latest papers in the series. We are delighted to announce the appointment of 3 new members to the Analytical Methods Advisory Board. 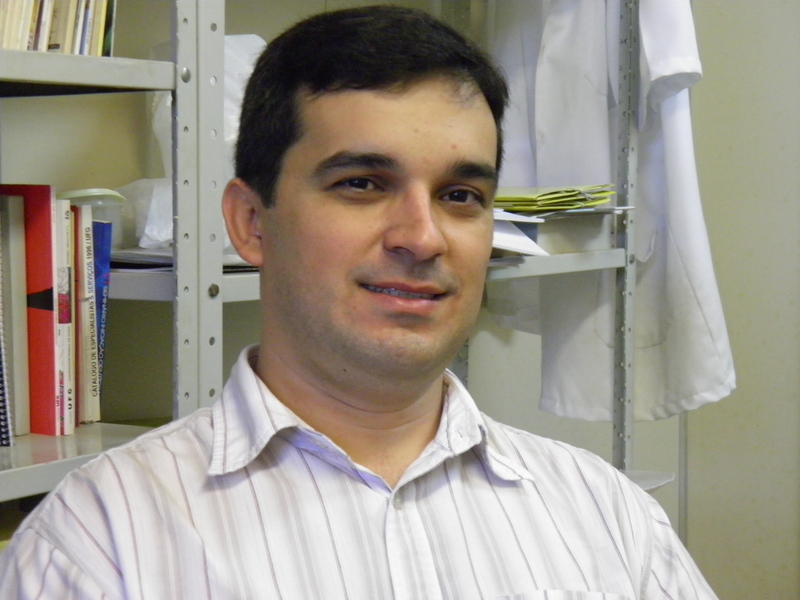 Wendell Coltro is an Associate Professor at the Instituto de Química from Federal University of Goias in Brazil. 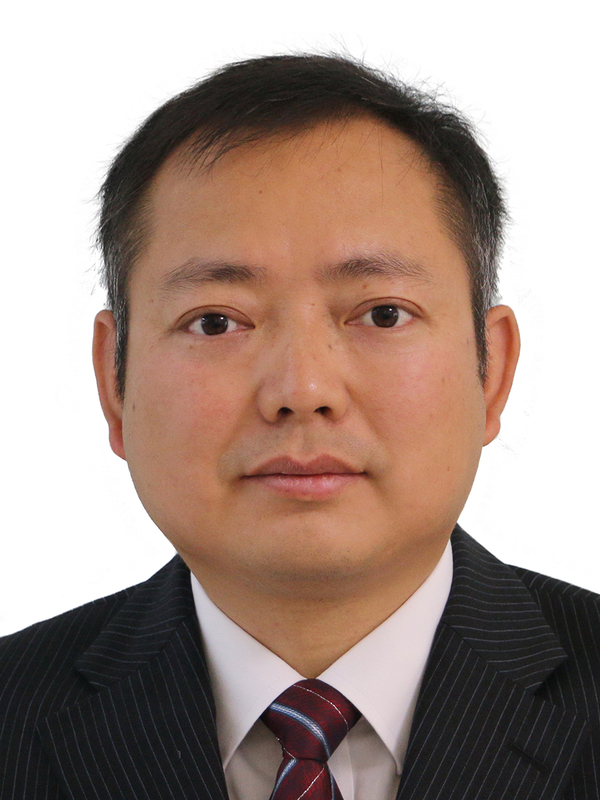 His research focusses on the development of electrophoresis microchips, 3D printed microfluidic chips and disposable devices for bioanalytical and forensic applications, including rapid tests and clinical diagnostics. 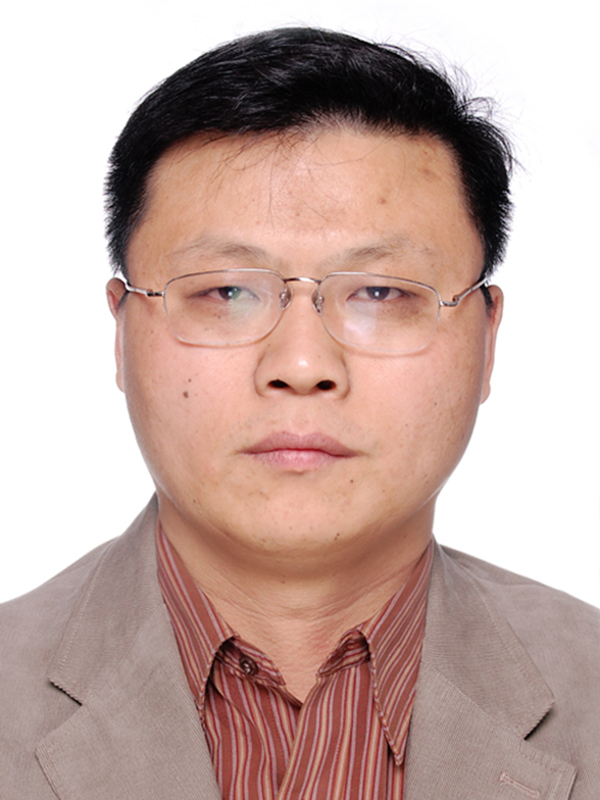 Wendell has published numerous papers in Analytical Methods and our sister journal Analyst. Read his most recent Analytical Methods article on “A fully disposable paper-based electrophoresis microchip with integrated pencil-drawn electrodes for contactless conductivity detection” here. 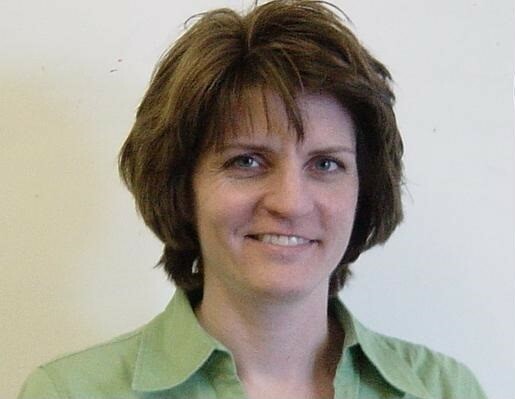 Lisa Holland is a Professor in the Department of Chemistry at West Virginia University. Her research group uses capillary electrophoresis and capillary chromatography to investigate physiological processes. There are numerous advantages to employing these miniaturised separation techniques, including high resolution of individual components, reduced solvent use, and the opportunity to develop them into portable and affordable devices. These techniques serve as enabling tools and methods to study disease, improve biological therapeutics, evaluate nanomaterials, and screen toxicity. 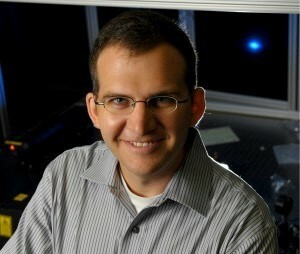 Zachary Schultz is an Associate Professor at Ohio State University. His lab uses vibrational spectroscopy for label-free detection in biophysical and interfacial systems. Combining a range of technologies, such as nanostructures and laser spectroscopy, Zac’s research aims to detect chemical properties and image systems at the molecular level to solve problems in metabolomics, protein receptor signalling and active plasmonics. Zac was named as an Outstanding Reviewer for our sister journal Analyst for 2016. Read his most recent Analytical Methods article on “Multiscale X-ray Fluorescence Mapping Complemented by Raman Spectroscopy for Pigment Analysis of a 15th Century Breton Manuscript” here. Analytical Methods is guided by an international Editorial Board and Advisory Board – more information on all our board members can be found on our website. 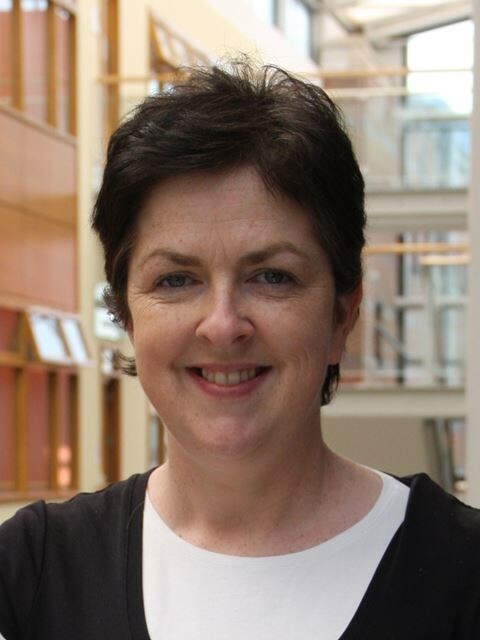 We welcome the knowledge and expertise our three new Advisory Board members will bring to the journal and we very much look forward to working with them. Welcome to the Analytical Methods team!